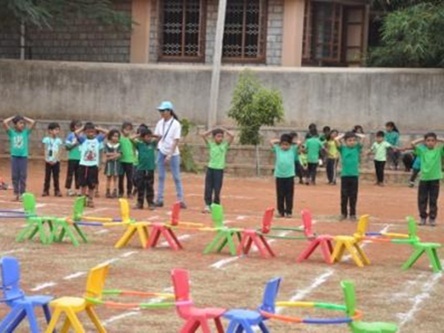 “DESFIDA” the kindergarten sports day was held with great zeal on 09 November 2018. 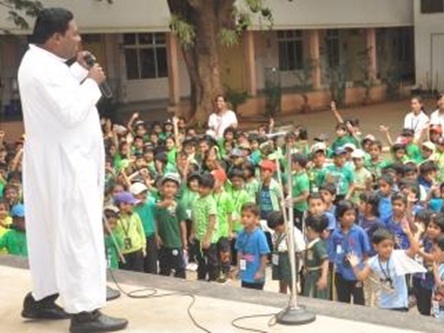 The lively day was inaugurated by Rev.Fr.Jabamalai, our Principal. In his address he emphasized on leading healthy lives and focusing on the need of physical activities for well balanced growth. To get into the sporting mood, the tiny tots of PRE KG performed a dance drill in a synchronized movement to the rhythmic beats of lively music. The day was full of fun, cheers, exciting games, and great exhibition of sportsmanship qualities by young students. 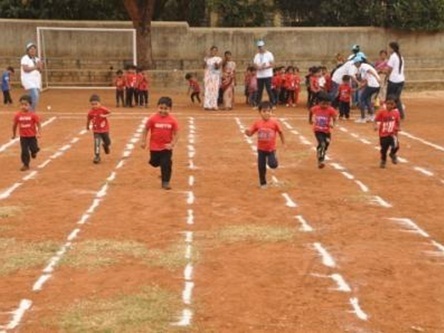 Children participated in various events including Running Race, Obstacle Race, Hurdle Race, Needle & Thread Race & Sack Race. All the students demonstrated amazing agility, coordination and keenness in their participation.